Wikipedia defines digital native as "a person for whom digital technologies already existed when they were born, and hence has grown up with digital technology such as computers, the Internet, mobile phones and MP3s." A site www.digitalnative.org is even created for Digital Natives which is "an interdisciplinary collaboration of the Berkman Center for Internet & Society at Harvard University and the Research Center for Information Law at the University of St. Gallen." The aim of the said effort is "to understand and support young people as they grow up in a digital age." Prensky (2001) talks about Digital Natives and Digital Immigrants eight years ago. He claims that "today’s students are no longer the people our educational system was designed to teach." To him the most useful designation he has found for them is Digital Natives. He said that, "Our students today are all “native speakers” of the digital language of computers, video games and the Internet." He distinguished the difference of digital natives from "those who were not born into the digital world but have, at some later point in their lives, become fascinated by and adopted many or most aspects of the new technology." He called them Digital Immigrants. The Digital Natives Organization said, "Are all youth digital natives? Simply put, no. Though we frame digital natives as a population “born digital,” not all youth are digital natives." Full Sail University just emailed me an information about Education Media Design & Technology degree, maybe for me to know that there is a Master’s Degree Program Online on how to learn to be an innovator by creating podcasts, online courses, video presentations and to also study alternative teaching tools such as video games, music, and multimedia, to help enrich classroom experience. 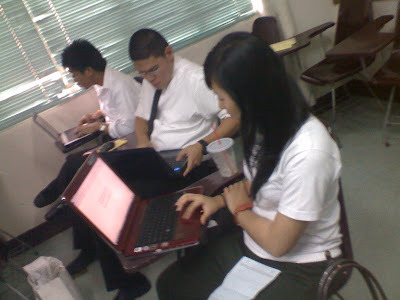 I am just lucky that with De La Salle-College of Saint Benilde's goal to be a truly learner-centered learning institution, I took my second Masteral Degree in Learning and Teaching (MaLT 1st and pioneer batch) in De La Salle University and wrote an action research on the ways of creating a learner-centered learning environment as supported by technology. I incorporated an online component (web-based modules) in the face-to-face or classroom-based instruction in my Dynarel (Church and Sacraments) class. We assist you to roll-out your E-Learning school! and use better instructional design?" INDeXPh.info at www.indexph.info or Instructional Design eXperts in the Philippines refers to a pool of Philippine based eXperts, a dynamic team in Instructional Design in various academic disciplines who bonded together to inform Educators, Training Professionals and (other) Instructional Designers, in both private and public sectors, on how to make the most out of online teaching and learning online. "E-Learning design is not instructional design." 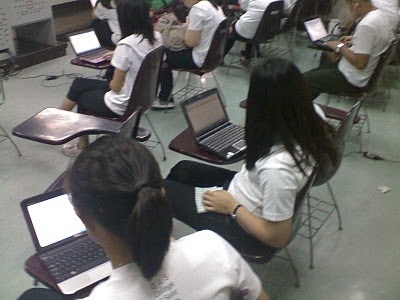 E-Learning ... can be effective, interactive, and relevant." On 12.3.2006 INDeXPh.info was born out of the founder's beliefs that each learner is truly unique and endowed by God with talents and gifts which should be understood, appreciated and nurtured. Because of such beliefs, INDeXPh.info dreams of a venue where these can possibly find expressions. 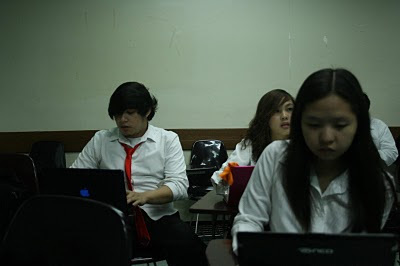 INDeXPh.info's goal is not only to assist students with their academic performance via online but also to help them develop a sense of self-responsibility for learning. Learning requires an investment not just of money, but of time and effort as well. All learning is the mutual responsibility of students, parents, staff, faculty, and administrators. While responsibility is the key to this learning, student-responsibility doesn't just happen overnight. INDeXPh.info hopes to foster, nurture and sustain it. INDeXPh.info or Instructional Design eXperts in the Philippines refers to a pool of Philippine based eXperts in Instructional Design in various academic disciplines who bonded together to inform Educators, Training Professionals and (other) Instructional Designers, in both private and public sectors, on how to make the most out of online teaching and learning online. empowers you to have your own eLearning Sachet (eLS)! Aral Pinoy upholds these Life-Giving Relationships Values (L-GR Values). For Fuellenbach (1998), these essential relations extend in four directions: to God, to oneself, to neighbor (both as individual and as part of society) and to creation as a whole. Therefore, to be just means human beings should live in life-giving relationships with their fellow human beings, with themselves, with nature (creation) and ultimately with God. 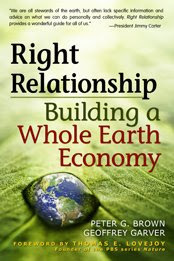 A. Mayer says this book is about: Right relationship which "borrows from various religious/spiritual traditions and fits them within a modern ecological economics framework. Change must include more than just a scattered radicals and if religious institutions can be engaged in reforms also than true progress is much more likely." "Peter G. Brown and Geoffrey Garver use the core Quaker principle of “right relationship”—interacting in a way that is respectful to all and that aids the common good—as the foundation for a new economic model." What does the future hold for The De La Salle-Committed Association of Religious Educators Incorporated (D.L.S.-CARE INC.)? 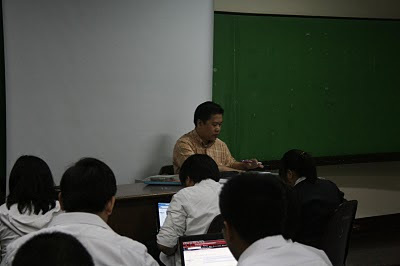 Theology and Religious Education Department (TRED) Chairperson Dr. Rito Baring had a meeting today (12:30PM W203) with the D.L.S.-CARE INC.'s incorporators about its current status as an organization and registered professional institution. The incorporators present in the meeting were Dr. Carol Fallarme , Teresita Dumlao, Dr. D’Arlington Javellana and Antonio Ingles, Jr. The future feels uncertain right now. We cross our fingers and hope that everything runs smoothly. Aral Pinoy launches its official website www.aralpinoy.org on April 16, 2009 Feast Day of St. Bernadette Soubirous, the little peasant girl favored by the Blessed Virgin, The Immaculate Concepcion, is known as the girl who saw the Virgin Mary at Lourdes. May Aral Pinoy every endeavor be directed and guided by The Immaculate Concepcion. I had an email exchange with Dr. Paul J. Dejillas, a stock, option, and foreign-currency trader (http://onlinestockoptionstrader.com/) and he said to me: "I read with great interest about the work and mission you are doing for the people and the community. It's very noble indeed. ...Good luck to you and I am positive that what you learned from our seminar on online trading will certainly open you to some financially rewarding opportunities." 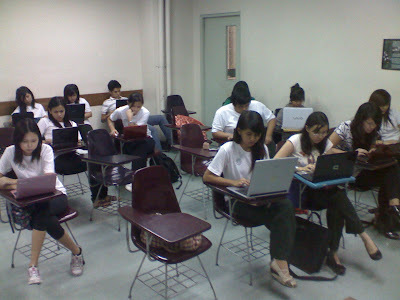 While I’m into online education since 1997, never it occurred to my mind the big benefits of online investing or trading until I joined and learned from the Dr. Dejillas’ Basic Seminar on Investing in Mutual Funds and Stocks Online. I have been in online education for more than 10 years, but little did I know that a one-day basic seminar on online trading is good enough for me to start confident and in control than simply doing or learning the trade by myself. My experiences in online education helps, but you need not be technologically savvy to learn the ins and outs of online trading. Online education is a do it yourself thing, online trading is the same. The advantage is, through the virtual trading I decide what and what not to buy, when to buy or sell. Everything is within my control right at my fingertips –whenever and wherever I want. With a click of the mouse I can see the opportunities either a direction up, down or lateral. These are three basic trends for stocks: an uptrend (moving higher), downtrend (moving lower) and lateral (moving sideways). So what do I do? Let's say I set my target with this strategy: So if I purchase 20 shares of a company at $20 I am willing to risk $5 per share and make an expected return of $7 per share after closing… Minimal risk, little earnings but I think wise investment to support community service initiatives. Since I know the basics on how to read the trends, let’s say it’s a downtrend line but it shows it’s attempting to set a higher pivot, and it appears it is showing a higher low, then I can still expect a return, and it works! This only means that despite global financial crisis and a slowdown in economic activity, I can still earn and raise fund for Alagang Silid-Aralan (adopt and nurture a classroom). The official logo of Aral Pinoy consists of the feather pen, the book and the sun rising from the horizon, which all put together symbolize hope for knowledge and education, at the same time demonstrate a true Filipno spirit. 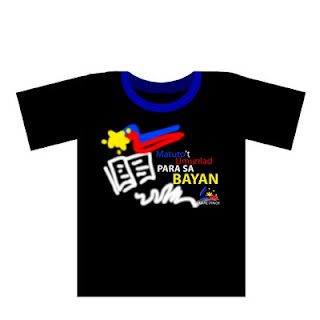 The design is creatively done through the generosity of Mr. Eduardo Barrantes Verzosa, a Pinoy professional web/graphic designer based in Norway (http://eccentriccolours.com). 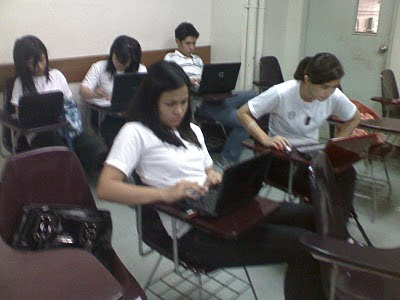 Aral Pinoy also has its official website (http://www.aralpinoy.org) designed too by Mr. Versoza. 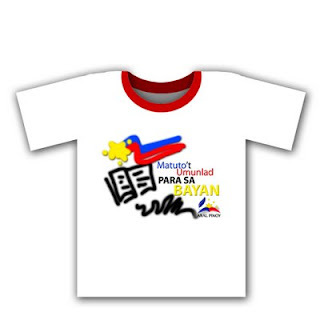 At the moment Aral Pinoy is into Alagang Silid-Aralan (adopt and nurture a classroom), an initiative to support public school teachers and students in classroom level. To adopt and nurture a classroom anybody (groups and individuals) can be a partner with Aral Pinoy through its ongoing operations and continual improvement of teachers' training, students' learning, classrooms' learning-equipments and facilities. 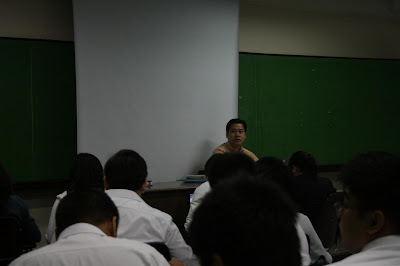 Last Saturday (March 29, 2009) I, as Aral Pinoy's convenor, had an initial exchange with Mr. Santiago Flora, Acting Vice President for Academic Affairs of Quezon City Polytechnic Universityhttp://www.cmobn.com/news/io_QCPU.html). 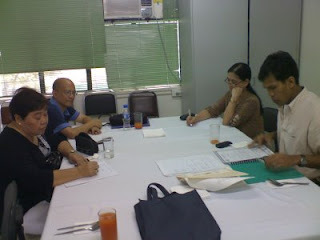 Aral Pinoy agreed to partner with QCPU through Alagang Silid-Aralan (adopt and nurture a classroom). Mr. Santiago is very much willing to even name the classroom to whoever (group or individual) who would be part of this endeavor. I will ask him to name one classroom to Mr. Eduardo Barrantes Verzosa. But let me share with you my short-story why I believe this is a big help in investing online with a noble purpose. Working with and helping the marginalized sectors of our society since my seminary days until today have always been my vision, and I am dreaming that one day if God’s generosity allows, I will build a school in the rural areas, a school for life to empower them for it is an urgent call to action for and by the rural poor: the indigenous people, the rural women, the fisher folks, the farmers, the rural youth, the elderly, persons with disabilities and the informal sector. Since then, I have sought a framework that holistically ties everything together, that allows us to understand society, the world, and our place in it, and that could help us make the critical decisions which will shape our future. I have been blessed to find a framework of "Right-Relations" or even better as "Life-Giving Relationships" in four directions: to God, to oneself, to neighbor (both as individual and as part of society) and to creation as a whole. When I meet Fr. Fuellenbach in a lecture-seminar I attended in De La Salle University many years back, it further validated my faith that the justice-concept and justice-practice based on a holistic view of Hebraic Covenant Theology is what Life-Giving Relationship. When I read about the RA 8525 Adopt-A-School Program of 1998 (ASP) (http://www.deped.gov.ph) to get "support from all stakeholders in education through various needs-based and sustainable interventions – harnessing technology, providing electric and water facilities to schools, enhancing health and nutrition and teacher development programs and supporting relevant education – that will eventually improve the schools, increase learning outcomes of the pupils and therefore, improve the quality of life of the generations to come," (http://www.gov.ph/news/default.asp?i=19527) I seek ways on how I can be of help. In my intention to help poor schools, teachers and students, I started emailing people whom I believe will support my initiative. I told them that I would like to share my project: a new alternative teaching tool, which is beneficial to poor schools, teachers and students that have no enough technology and financial resources and no opportunity to afford computers and multimedia projectors. I have two objectives and two solutions. My objectives are: 1. Identify schools that need assistance especially those with insufficient instructional materials/equipment and insufficient budget or funds. 2. Train teachers to improve teaching and enhance students’ learning and to assure that the teachers that are trained actually apply what they have learned. My solutions are 1. Identify partner communities/institutions/corporations that are willing to sponsor a sustainable teacher training programs to schools mentioned above. 2. Design and offer modules/manuals/short-courses to suit teachers with different needs at all levels. 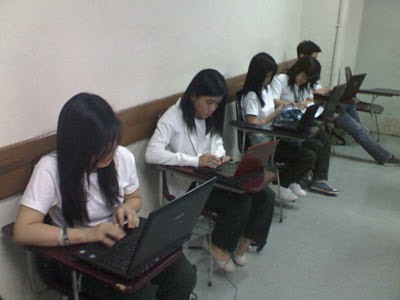 Since 1997, in our school (DLS-CSB) while almost everybody was so fascinated with the wonders of Microsoft PowerPoint presentation software, I was already amazed with website creations, thus I have been creating and developing course-websites. I took my second Masteral Degree in Learning and Teaching (MaLT 1st and pioneer batch) in De La Salle University and wrote an action research on the ways of creating a learner-centered learning environment as supported by technology. 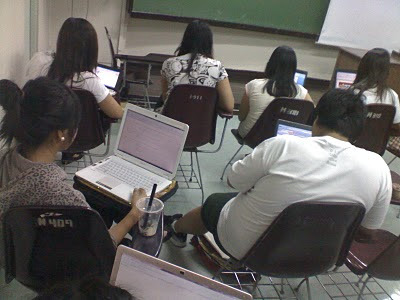 I incorporated an online component (web-based modules) in the face-to-face or classroom-based instruction. I have been educating online, now investing online is my next goal to realize my vision to build a school in the rural areas. At the moment I'm into Alagang Silid-Aralan (adopt and nurture a classroom) as one of Aral Pinoy's initiatives to support teachers and students in classroom level. To adopt and nurture a classroom, anybody (groups and individuals) can be a partner with Aral Pinoy through its ongoing operations and continual improvement of teachers' training, students' learning, classrooms' learning-equipments and facilities. I thank GOD for opening many doors to all. I have been teaching for the last 17 years. During that time, I have worked as Christian Living Education (CLE) high school teacher in Assumption College, religion/theology teacher in Centro Escolar University (CEU), in St. Paul College of Manila (SPCM) now a University, and here in our College, De La Salle-College of Saint Benilde. The breadth of my experience has enriched my teaching life. I meet exemplary teachers and I have been so fascinated and interested in finding out what makes them really good. Regardless of the substantial differences among them in terms of teaching style, personality, teaching goals and ways of interaction with students, I have realized that it is the inherent sameness of good teachers that made them really good. I could also say that good teachers, in all settings and at all levels, have more in common with each other: They have hearts to teach. It is really worthwhile for our College to select, hire and re-hire a good if not a best teacher by scrutinizing his or her teaching credentials, performances and experiences. I believe that our College will not settle for less. Lower quality teachers are more expensive; they produce lower levels of student learning and erode morale. Good teachers matter and they matter a lot for they can make a vital difference. Being a religion/theology teacher here in our College for the past 11 years, I have also witnessed good teachers who have been keys to Benildean learning, to Lasallian educational reform, curriculum design and implementation, community building and Christian values formation. They really have hearts to teach. But teachers cannot be good in a generic sense, they have to be good for something and should have hearts to teach. These are the teachers “who have some sort of connective capacity, who connect themselves to their students, their students to each other and everyone to the subject being studied.” (Parker Palmer, 1999). With humility I know I am one of them. I believe I am a good. I believe I have a heart to teach. On May 16, 1997, bringing with me my 7 years of seminary formation and 7 years of teaching experiences, I forwarded my letter of application for the position of a teacher to Dean Socorro Bacay (formerly the Executive Assistant of our former Dean Flordeliza Reyes, PhD). The following month, June 14, 1997, I was blessed to receive my first pay check. I attended my very first Lasallian Retreat Seminar (RS1) on June 27, 1997. After the retreat-seminar, I was invited by LMO (formerly Campus Ministry Office) to join the Lasallian Family Animation Team. On this same year, I was also invited by Blessed Arnold Study Assistance Program (BASAP) Coordinator Ms. Basilia Blay to be a volunteer teacher in religion/theology to teach for FREE. 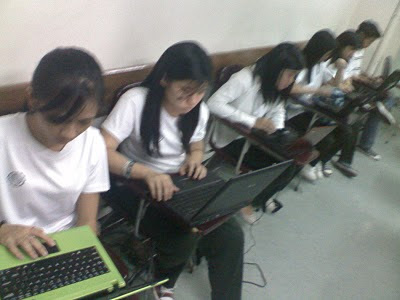 Since then, I have been a LaFT member (DLSU-CSB Chapter) and BASAP volunteer teacher. Through the years that I have been undergoing Lasallian Formation, attending Tagpuan(s) and at the same time facilitating the RS to students, faculty and staff, I was blessed to work with and facilitate retreats to VPA Robert Tang, Dean Techie De La Torre, Dean Gerard Torres, Dean Leticia Delarmente, Dean Dioscoro Baylon Jr., Dean Socorro Bacay and Dean Cristina Esquivel-Saldivar in various occasions. I first met Br. Armin Luistro, FSC in a “Lasallian Prayer Workshop” he facilitated on September 26, 1998 in LMO. The following school year, May 27, 1999, I was appointed as Lasallian Ministry-Coordinator for Student Ministry. Two years prior to my appointment, LMO had a new coordinator for student volunteers annually. I was blessed to take the responsibility for five straight years and the opportunity to design the Lasallian Formation Modules for Student Ministry. During the 2nd term of the school year 1999-2000, while I was still the Coordinator for Student Ministry, I applied for and availed a study grant for my graduate studies in De La Salle University in Master in Education Major in Religious and Values Education. Br. Ricky Laguda, FSC, Br. Antonio Servando, FSC and Br. Vincent Fernandez, FSC were my classmates then. On September 6, 2000, through Br. Bill Garvey, FSC encouragement and inspiration, I was blessed to graduate with high distinction. In 2000 I was invited by Dr. Carol Fallarme (CARE Adviser) to join the Committed Associates in Religious Education, an association of DLSU Religious Education graduate, post graduate students and alumni founded by Br. Andrew Gonzales, FSC. This same year, I was elected as vice-president of CARE (2000-2002). With the encouragement of my teachers Sr. Cora Manalo, DC and Dr. Natividad Pagadut, two years after, I was blessed to be elected as the president of CARE from 2002-2005. In 2002, together with Fr. Carlos Ronquillo, CSsR and Dr. Jose de Mesa, we collaboratively worked on a project on doing local theology entitled: “Diyos Ano Po Ba Ang Lakad Ninyo?” This project turned into a symposium in DLS-CSB which was joined by Br. 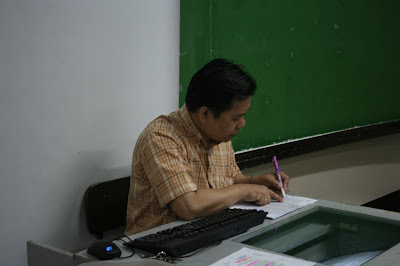 Mawel Pajarillo, FSC, who was our Chairperson then in DLSU-CED Religious Education Department. The year 1997 was a year of dreaming, of hoping and of moving in the direction our College needs to go: Innovation. The very first in–house training and development I attended was on “INFOTECH Training Program” (from June 21 to July 26, 1997). This was organized by Innovations and Faculty Development Center (IFDC) - now known as Center for Learner-Centered Instruction and Research (CLCIR). By the following school year, I was one of IFDC’s first batch of awardees who completed the “Basic Information Technology Education Program (ITEP).” On that same year, I was nominated by “Gawad Karilyon” as “Most Outstanding Faculty of the Year.” By the school year 1999-2000, I was already an active member of IFDC’s LEVITE Management Team. Since 1997, while almost everybody was so fascinated with the wonders of Microsoft Powerpoint presentation software, I was already amazed with website creations. I have created and developed all 6 religion/theology/values course-websites for Bibstud, Dynarel, Reconse, Cathwor, Ordev 1 and 2 and NSTP. All of these websites were housed in what I created as the “Class for Learner-centered Instruction and eXperience Teaching On-line” (CLIXTO). 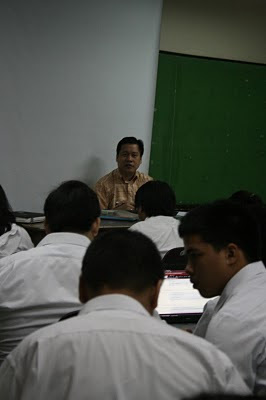 Dr. Benito Teehankee was my first mentor in web development and online learning. While we often met in Philippine eLearning Society conferences, we have been exchanging notes on how to bring and integrate Catholic Social Teachings in MBA curriculum and courses. In 1999, I was actively involved in the initial development of Ordev 1 and 2, Ordev A, B and C Modules (formerly known as Seperde) and in 2000 for NSTP 1 Modules (NSTP 2 is off-campus). Since 2006, I have been actively involved in the design of Formation Program of the Formation Unit of the Office of Student Behavior (formerly known as Discipline Office). On February 2004 onwards Dr. Rizaldi Nocon (our former VPA) met us, the 1st batch of CLCIR Online Facilitators on how to use MOODLE: A Free, Open Source Course Management System for Online Learning. 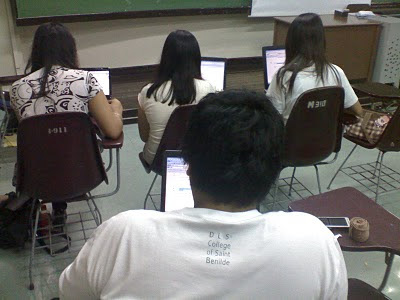 Eventually, I was tasked by CLCIR to facilitate MOODLE Faculty Training and LC PBL Module Writing Workshop Sessions. Today, I am blessed to be one of the CLCIR resource faculty-training facilitators (practitioners) for online learning/elearning. In 2007, my eLearning exposures, training and knowledge providentially gave me the opportunity to be of help to Mr. Tomas T. De Leon, Jr. to roll out his training courses online. Sir Tom is the Program Director for Corporate Governance for banks and quasi-banks and the Program Director for Retail Management in Ateneo Center for Continuing Education. The year 2003 is also a year of dreaming, of hoping and of moving in the direction the College needs to go: Learner-Centeredness. 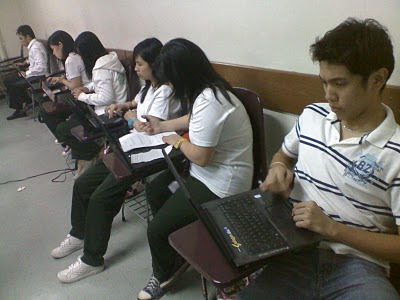 With the College goal to be a truly learner-centered learning institution, I took my second Masteral Degree in Learning and Teaching (MaLT 1st and pioneer batch) in De La Salle University and wrote an action research on the ways of creating a learner-centered learning environment as supported by technology. I incorporated an online component (web-based modules) in the face-to-face or classroom-based instruction in my Dynarel (Church and Sacraments) class. I wanted to find out how our students are actively learning with this intervention. On December 5, 2005, I was blessed to graduate with distinction. 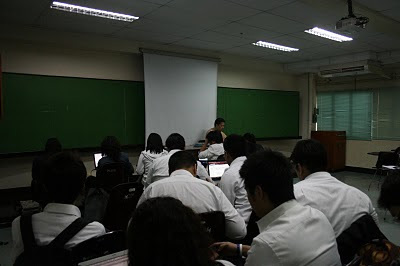 On May 2004, during my last term in LMO as Coordinator for Student Ministry, I was invited by the College to be the 1st Chairperson (formerly named as coordinator) of Theology and Philosophy Area (Department) for the school year 2004-2005. I was blessed to take the responsibility for four straight years. There is no doubt that student learning is the main goal of any educational institution. The College finds it important and necessary to evaluate current practices and continue to provide effective strategies in supporting this goal. 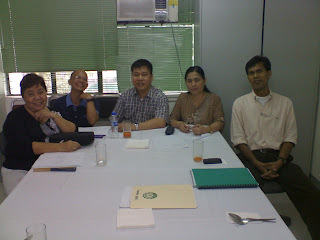 From 2005-2007, I was blessed to be part of the Task Force on Student Learning (TF-SL) headed by Dr. Rose Marie Salazar-Clemeña (our former EVP) which was convened in order to uncover and assess student learning practices with the goal of providing recommendations and/or revisions to existing programs, policies, and interventions in student learning. On April 2-3, 2004, our College hosted the 1st International Conference on Learner-Centered Education in the Philippines and in Asia. 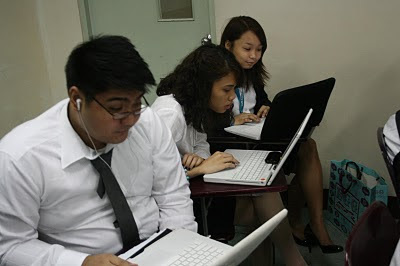 For this conference, I was part of a team tasked to work with CLCIR for its website on LC promotions and updates. 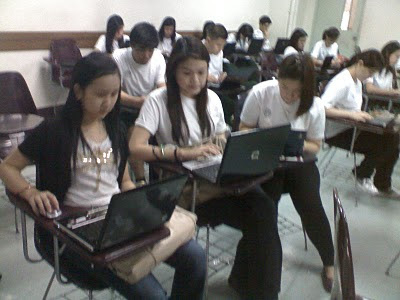 Last February 19-20, 2008, our College hosted the 2nd International Conference on Learner-Centered Education. I was blessed to deliver my paper on the LC Principles on Dynarel (Church and Sacraments) in this venue. The year 2007 is another year of dreaming, of hoping and of moving in the direction the College needs to go: Education, Education and Education. Palmer said, “Students who learn, not professors who perform, is what teaching is all about: students who learn are the finest fruit of teachers who teach.” I believe that it must be an education of the hearts to let Jesus, the TEACHER, live and be inspired by a spiritual outlook of St. La Salle’s spirit of faith and zeal. I have been praying that our hearts be like Jesus. As my responsibility as Chairperson of Theology and Philosophy Department has ended, I have been blessed to be given a new responsibility as the Coordinator for Learning Enhancement and Adjustment Program (LEAP) for this school year 2008-2009. During my last term in Theo/Philo as Chair, I was excited to the effort of the College towards the integration of Theology Curriculum of SMS and Support Services Programs of LaMMP. I took the initiative to study “The Faith Community Paradigm” of Br. Mike Valenzuela, FSC (1999). Out of which I produce a primer for this paradigm for Theo/Philo Area and presented to my colleagues the advantages of this endeavor, until an “organizational restructuring” became an issue on March 2008. Five months after, our area was blessed when things were clarified on August 7, 2008. I have been praying that my heart be like Jesus, for my new appointment as LEAP Coordinator which will enable me to instill Gospel Values and foster a spirit of faith, zeal in service and communion in mission among our LEAP students and their parents, truly likened to a Basic Ecclesial Community (BEC). I was told that by next term, the incoming foreign students will be joining LEAP. This is another opportunity to take into account the religious diversity in the College to bring the Lasallian Core Values across all sectors. Faith in the presence of God must be partnered with meeting the standards of excellence in Lasallian education. Enhancing the quality of education also requires continuous updating on my part as educator and as much as possible integrating all bodies of knowledge with current information in the context of Lasallian formation, pedagogy and social responsibility because knowledge is ever expanding and evolving. As a teacher, I believe that Lasallian Guiding Principles, Lasallian Core Values and Benildean Vision-Mission have been turning my work into a ministry -focused and energized, where in my own humble way I have been helping and working with my students, colleagues and community discover and sustain what are essentials and relevant because many people today need meaning and purpose in their own particular context and condition, in their work and life. Working with and helping the marginalized sectors of our society since my seminary days until today have always been my passion and mission, and I am dreaming that one day if God’s generosity allows, I will build a school in the rural areas, a school for life to empower them for it is an urgent call to action by the rural poor: the indigenous people, the rural women, the fisherfolks, the farmers, the rural youth, the elderly, persons with disabilities and the informal sector. Because of this, I have sought a framework that holistically ties everything together, that allows us to understand society, the world, and our place in it, and that could help us make the critical decisions which will shape our future (Heylighen, 2000). I have been blessed to find a framework of "Right-Relations" or even better as "Life-Giving Relationships" in four directions: to God, to oneself, to neighbor (both as individual and as part of society) and to creation as a whole. Life-Giving Relationship is justice-concept and justice-practice based on a holistic view of Hebraic Covenant Theology (Fuellenbach, 1998). I have been blessed that this has been inspired and enlivened in me by my Lasallian Education, which I owe a debt of gratitude to. But to sustain this framework I have realized that my background in Philosophy, Theology, Religious Education and Education are not enough. Then I have sought the help from Social Sciences and I discovered a doctoral program in Applied Cosmic Anthropology (ACA) in Asian Social Institute (ASI). ASI is an Asian Graduate School of Social Transformative Praxis towards Justice, Peace and Integrity of Creation founded by Fr. Francis Senden, CICM. ACA is designed for policy-makers and implementors who have the ability to process transformational change within themselves and others, who are currently working in an institution involved in managing change, and who are in touch and can communicate with both the masses and elite. This doctoral program prepares leaders of institutions to exercise effective leadership for the 21st century and beyond. We stand today before a wounded creation which suffers because of us. To be just, it is not enough to refrain from injustice. Let us heal this wounded home of ours and be very sorry for the injustice we have done. “…Just as the cosmos itself can be ruptured and torn apart by injustice…it can be healed by all human efforts to bring justice back to human relationships…(M. Fox). This is an invitation to eagerly seek the Kingdom of God, our Creator and his righteousness (justice), and pray that the fruits of his creation will be added unto us. 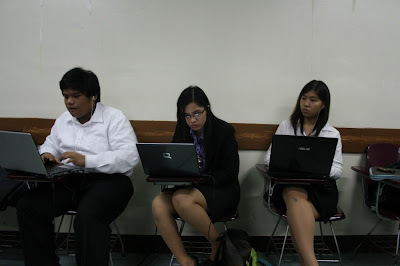 I am now 40 years old with 17 years of uninterrupted teaching experiences, 11 years of hard work and dedication to my former and current Benildean students and 9 straight years of studies, services, faith and collaboration (communion) to/with my former and current Benildean superiors and colleagues. With trust and confidence to God, my colleagues and myself, I am convinced that there are no substitutes to all of them. The breadth of my teaching experiences has made me realized that I am not only good and that I do not only have a heart to teach. I am not the best, but with esteem I take the liberty of saying that at my age I am a good teacher who made and will make a vital difference. A Chinese Proverb tells us that the “Teachers open the door. You enter by yourself.” De La Salle-College of Saint Benilde has been a teacher to me, opening the doors of opportunities to be of great service to others which I have entered by myself. I do not believe in coincidence for I know from my everyday life that an opportunity could be missed if not grasped at the right time. I have faith in Divine Providence and I thank GOD for being a teacher who opens many doors to all.